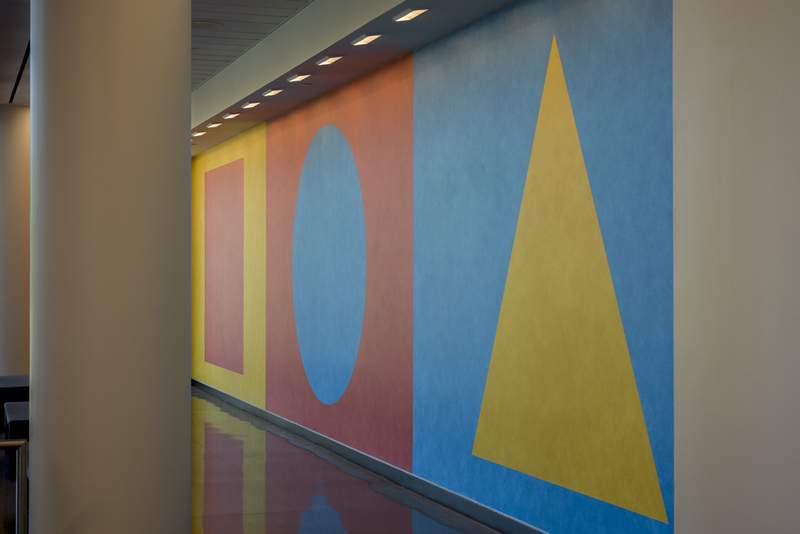 Gift of Pitney Bowes Inc.
Wall Drawing 519 is a lively example of conceptual artist Sol LeWitt’s many large-scale wall drawings that use simple lines and geometric designs. Each of LeWitt’s wall drawings begins with a set of instructions or a diagram that assistants follow to install the work directly onto a wall. Wall drawings can be removed and repainted in different locations, giving them an unlimited lifespan. 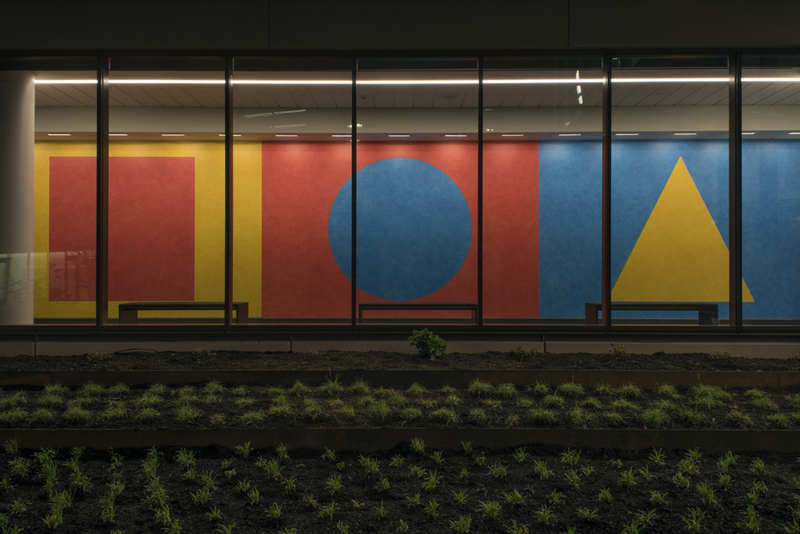 Wall Drawing 519 was first installed in Stamford, Connecticut, in 1987, and later at the Spencer Museum of Art in 2014 when the work was gifted to the collection by international corporation Pitney Bowes, Inc. The Spencer’s Phase I renovation (2015–2016) provided an ideal opportunity to reinstall this work elsewhere on the KU campus. 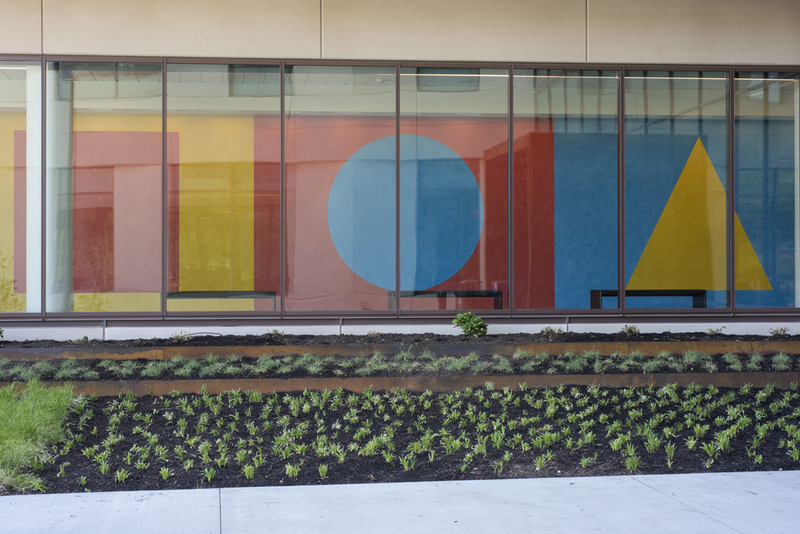 In spring 2016 Wall Drawing 519 was installed at the KU School of Business in Capitol Federal Hall.